From Glasgow, drive to Kennacraig. This journey should take approximately 2 ½ hrs. Take the A82 Loch Lomondside, turning onto the A83 at Tarbet. Continue through Inverary and Lochgilphead towards Tarbert, passing Loch Fine. The Port of Kennacraig is 5 miles north of Tarbert. City Link operates a bus service from Glasgow Buchanan Street Bus Station and connects with the CalMac ferry at Kennacraig. The ferry sailing with Caledonian MacBrayne from the Scottish mainland to Port Ellen or Port Askaig on Islay takes approximately 2 hrs, leaving from Kennacraig on the Mull of Kintyre. 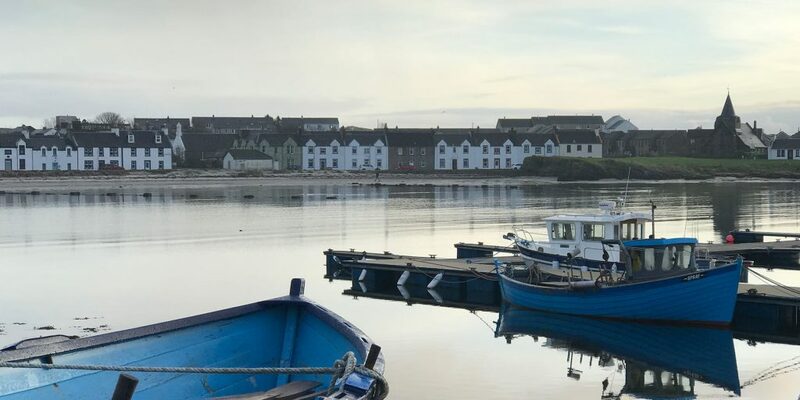 The ferry into Port Ellen harbour is a 5-minute car journey from Glenegedale House. We strongly advise booking the ferry in advance. Further information including timetables, fares and booking can be found on the Caledonian MacBrayne website or call 0800 066 5000. Loganair operate a short scheduled flight, daily from Glasgow & Edinburgh Airports to Islay. Further information including schedules, fares, and booking can be found on their website. If you don’t have your own car or require a lift (especially on a Distillery Tour), a taxis can be arranged locally for short or long journeys, and half or full day tours of the Island.